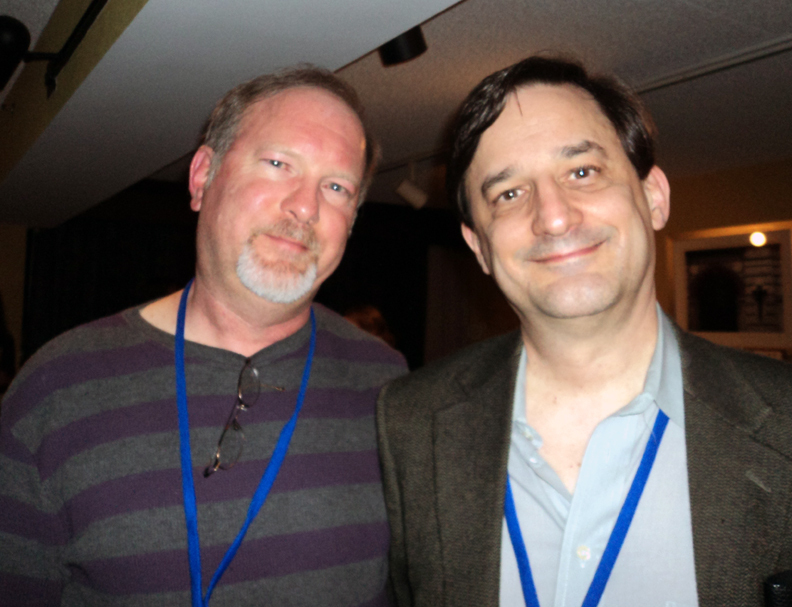 MICHAEL A. VENTRELLA: I’m pleased to be interviewing author Kevin J. Anderson, the author of 120 books, 51 of which appeared on bestseller lists; he has 23 million copies in print in 30 languages. 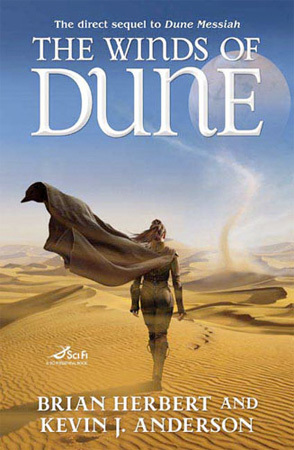 Kevin coauthored thirteen DUNE novels with Brian Herbert, as well as their original HELLHOLE trilogy. 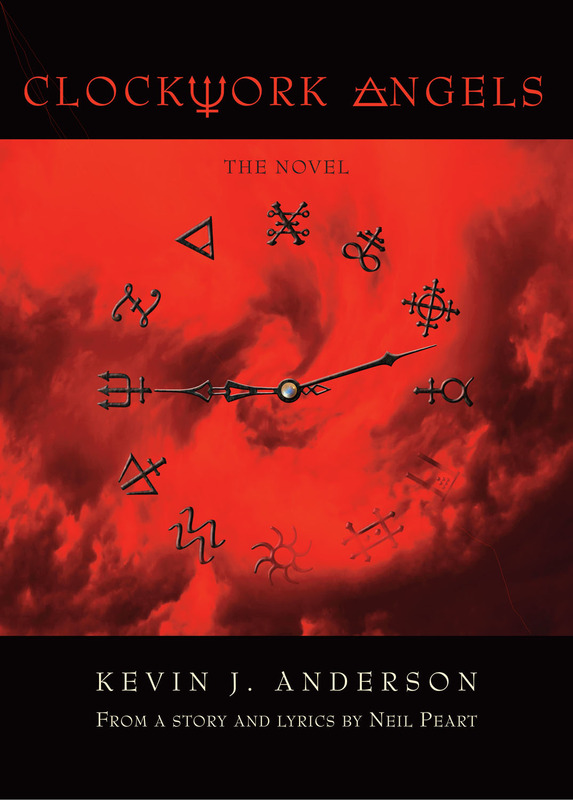 He followed his epic “Saga of Seven Suns” series with his “Terra Incognita” fantasy trilogy, and wrote the novel CLOCKWORK ANGELS based on the new Rush album. He recently launched a hilarious new series featuring Dan Shamble, Zombie PI. In addition to numerous STAR WARS projects, he wrote three X-FILES novels and collaborated with Dean Koontz on FRANKENSTEIN: PRODIGAL SON. He is also one of the founding members of the premiere seminar for writing careers, Superstars Writing Seminars. His web page is here. Science fiction and fantasy can often overlap. Do you tend to think about balancing the two in your books? KEVIN J. ANDERSON:No, I think about the story and not about the genre. Much of my science fiction epics are modeled after fantasy epics and tropes, but they are still science fiction. My Saga of Seven Suns and the follow-up the Saga of Shadows are like big fantasy series in the plot structure, character archetypes, and the sweep of the story. VENTRELLA: As a scientist, do you try to find scientific ways to explain magic? ANDERSON: I apply my scientific experience in my worldbuilding, which is what I’m probably best known for. If it’s a fantasy series, I develop the magic system as rigorously as I develop alien cultures or environments. In the only big fantasy trilogy I’ve done, Terra Incognita, I have a very complex system of sympathetic magic (no wizards waving wands at singing elves), but the culture and history are based on meticulous research into our Age of Discovery, Prince Henry the Navigator, the Crusades, sailing ships. I like to get the details right. VENTRELLA: Would you ever consider writing a standard fantasy with wizards and elves? If not, can you think of an example where it would interest you? ANDERSON: I did write a trilogy — GAMEARTH, GAMEPLAY, and GAME’S END — set in a Dungeons & Dragons type of role-playing game, which has dragons, ogres, big evil. But it’s also got some interesting twists, a meta-fiction both inside and outside the game. That was how I made it interesting to me. VENTRELLA: Do you find yourself creating the setting first, characters first, or plot first? How do you organize your work? ANDERSON: You don’t build a giant cathedral without drawing a blueprint first. My big novels — the Dune series, Hellhole, the Saga of Seven Suns, Terra Incognita — are all immensely complex with myriad plot strands, interacting characters, choreographed battles. I create the setting, characters, and plot all together interactively. VENTRELLA: You’ve also written superhero stories — do you consider those science fiction or fantasy or neither? 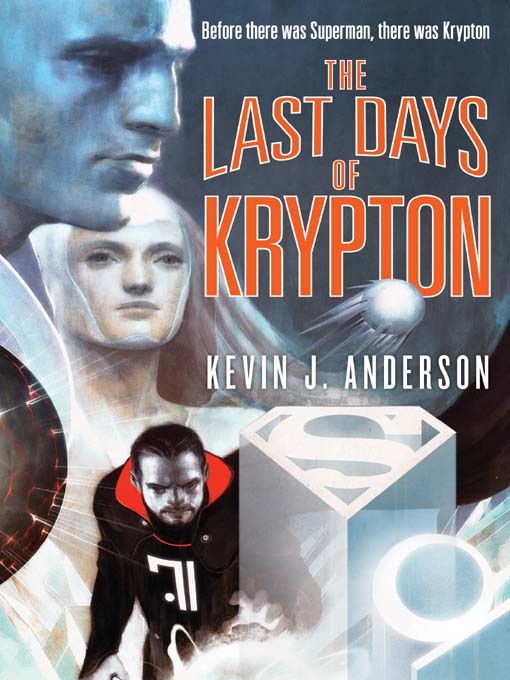 ANDERSON: I wrote THE LAST DAYS OF KRYPTON, a detailed science fiction epic about the fall of the planet Krypton, written with as much ambitious plotting as my own big epics. ENEMIES & ALLIES is a very rational superhero story set during the Cold War, with Bruce Wayne trying to analyze scientifically how to reproduce Superman’s superpowers. VENTRELLA: Do you like writing in someone else’s universe? What are the advantages and disadvantages? ANDERSON: I am a fanboy and I love the media universes I work in. I grew up with Superman and Batman; I saw Star Wars when it first showed in theaters; I watched every episode of Star Trek, day after day. I love writing those stories, even if it means headaches with the licensor’s lawyers or continuity experts. You certainly get a lot of readers who come to those books, and many of those readers go on to read my other work. VENTRELLA: It seems that the advantage of novels over graphic comics is being able to get into the heads of your characters more -– is that what attracted you to the idea? ANDERSON: I got into writing comics much later, after having published many novels. There are different strengths to the mediums. My first comics were for Star Wars, which is an amazing visual property, and I leveraged that with my comics. VENTRELLA: When writing about Batman or Superman, do you have a specific one in mind? A specific writer or actor? Or do you create your own version? ANDERSON: I had my very favorites among the comics and movie versions, but I tried to make it all fit into an original interpretation. VENTRELLA: When adding new Dune stories, have you tried to copy Herbert’s style at all? Did you feel limited in any way? ANDERSON: Not at all. 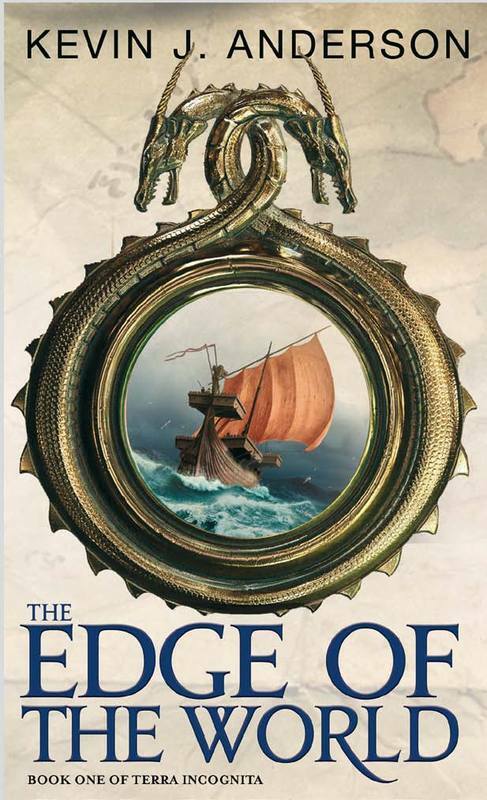 Brian Herbert and I each developed our own styles over the course of our careers, and Frank Herbert was such a master with his own distinct voice we would never try to copy it. 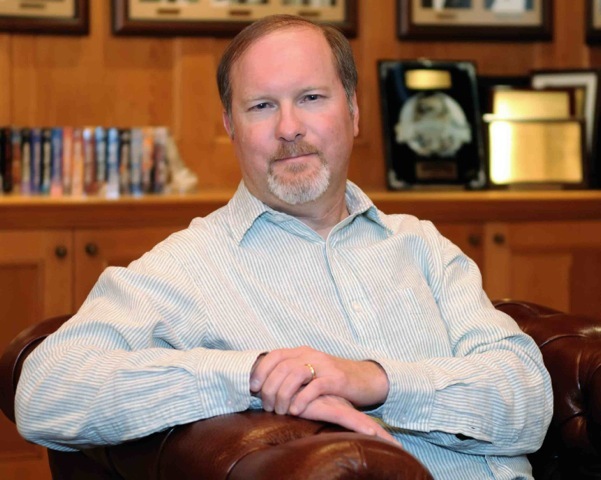 We set our stories in the world Frank Herbert created, but we don’t try to imitate him. VENTRELLA: Of all of the other universes you’ve been allowed to play in, which is your favorite? ANDERSON: Oh, don’t make me pick! If I had to, I suppose Star Wars and Krypton were my favorites. VENTRELLA: How have you handled collaboration? Do you and Rebecca (for instance) plan out a story together or does one do a first draft and the next polish and so on? Is it different with other collaborators? ANDERSON: Each collaboration is different, each partner is different. In my collaborations, we follow the same model: we discuss the complete novel, work out all the plot details together, then write the outline. We divide up the chapters, each writer taking half, then we each write our chapters and swap them for as many edits as it takes. VENTRELLA: You maintain a great presence with your fans — an active blog, convention appearances, Facebook posts and the like. How do you manage to find time to write? And is this all that important? ANDERSON: It’s extremely important to maintain contact with your fans. They are the ones who keep your books alive, who tell their friends and spread the word. Social media makes it much easier and much more personal. I make the time for it because I think it’s vital. If I didn’t have dedicated fans, I wouldn’t be able to have the job I love. VENTRELLA: Do you think it is important to fight back politically against those who would deny science? ANDERSON: That is such a hard one. I used to get involved in vocal arguments over political disagreements, but that absorbed huge amounts of my time and energy … and I lost a lot of readers. I now keep my politics to myself. VENTRELLA: Many established authors are now self-publishing their back catalogues themselves, avoiding the big publishers completely. Some are even handling their new releases on their own. What are the disadvantages of doing so? ANDERSON: You have to do all the work, and many writers don’t know how to do all of those steps. That’s the pitfall. You can do it all, but sometimes you need a professional. Kind of like putting in new plumbing. That said, I’ve spent the past twenty five years learning all the steps and i feel I do know what I’m doing. My wife and I are the publishers of WordFire Press, which now has over 80 titles up, not just of my own back stock but of other authors as well, including Frank Herbert, Brian Herbert, Bill Ransom, Doug Beason, Neil Peart, Brad R. Torgersen, Michael A. Baron, and Pulitzer prize winner Allen Drury. We’ve done very well with it. VENTRELLA: What book do you advise for the starting Anderson reader and why? 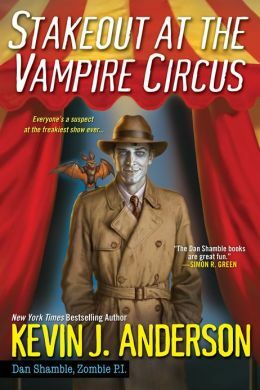 ANDERSON: I think I would suggest CLOCKWORK ANGELS (a wonderful steampunk fantasy based on the new Rush concept album), CAPTAIN NEMO (an alternate historical about Jules Verne and his creation), and especially the Dan Shamble, Zombie PI series. Those were the books I had the most fun with. 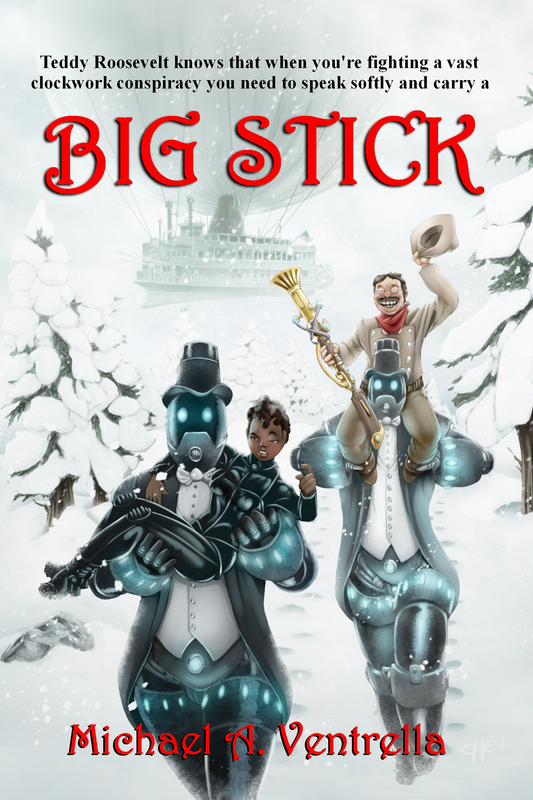 ANDERSON: I like to sink my teeth into big epics, such as the works of Dan Simmons, Larry McMurtry, and Frank Herbert. ANDERSON: Learn your business and treat writing as a business, a career, not just a creative exercise. ANDERSON: I’ve got more Dan Shamble Zombie PI books coming, then MENTATS OF DUNE in March, a new trilogy set in the Seven Suns universe, THE DARK BETWEEN THE STARS, out next June, and the third and final HELLHOLE novel out next August.